Salam! 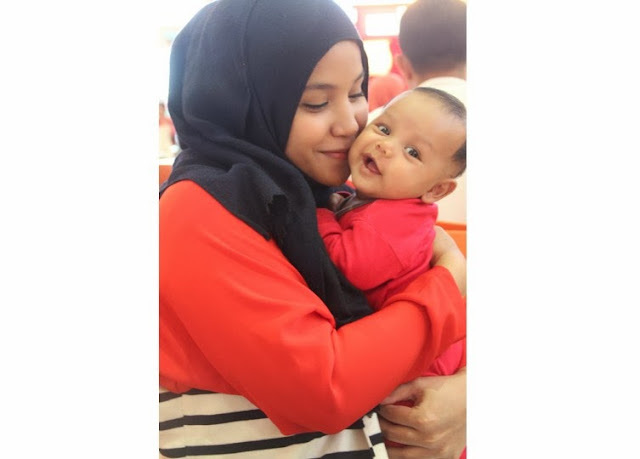 This is kind of a late post but just wanted to share this cute picture of me and my little Juhd bug♥ I feel so blessed to be a mother and enjoying every moment of it, Alhamdulillah. It's definitely been hard balancing a career, bussiness and a family, but nothing makes me more happy than coming back home to see the face of my husband and child. Before Juhd was born, I was always freaking out worrying if i'll ever be a good mom. But I've discovered there is no perfect way of being a good mom. The only way is to love them unconditionally and everything else will follow, insyaAllah. Owwww what a cutie! he's so so handsome MashaAllah. Lovely family Masha Allah! 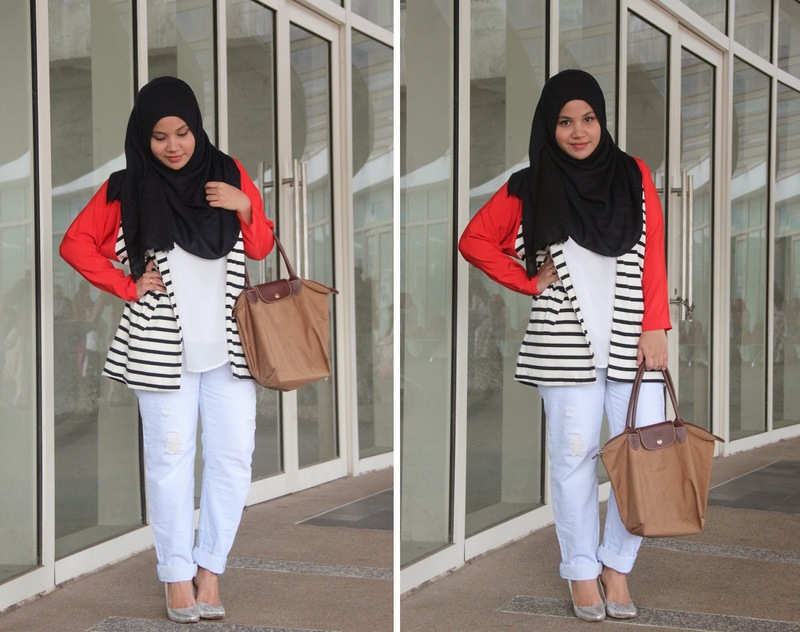 Good job losing all that baby weight Aishah, but I thought you had stopped trousers? Just asking, no critism or anything. Maasalam!